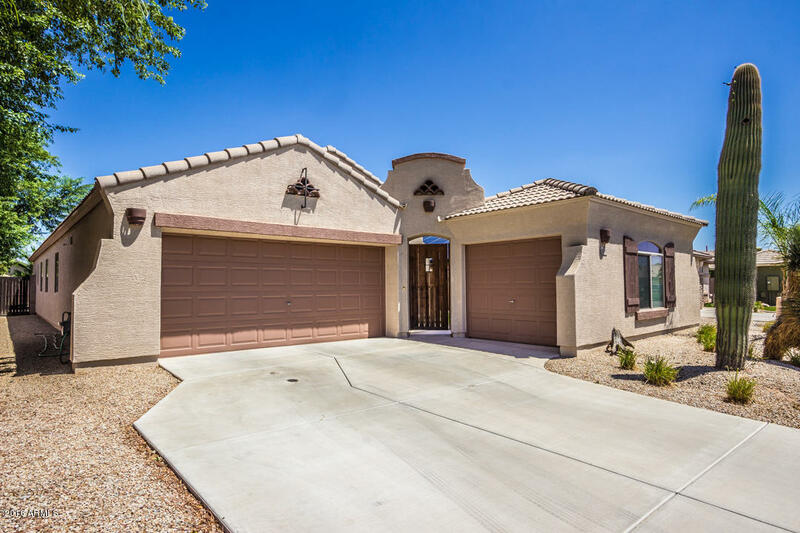 Beautiful 4 BR, 2 Bath, 3 car garage with Court Yard entry. Open floor plan with vaulted ceilings in mint condition with many upgrades like Energy Star home, 2x6 exterior construction, Bay windows in the living room, kitchen and master bedroom, fireplace, extended rear covered patio, electrical outlet in great room floor, pull out shelves in lower kitchen cabinets. New Carpet, New Landscaping, New interior and exterior paint. private backyard with no two story houses insight. Community pool, Basketball courts, Park with playgrounds. You won't be disappointed with this house.